Try our satisfaction guarantee - compare our lapidary grade rubellite prices and our superior quality. Tourmaline Crystals in Matrix Dimensions: 1.8" x 1.3" x 0.9"
This natural specimen of rubellite tourmaline crystals in lepidolite matrix is actually a cluster of several intergrown semi-transparent to transparent purple-pink tourmaline crystals (all 100% natural colors!) with some small gem-grade areas inside. Pink Tourmaline Crystal Dimensions: 1.25" x 0.5" x 0.5"
The natural color pink tourmaline specimen is a semi-transparent crystal section. Pink Tourmaline Crystal Dimensions: 1.2" x 1.1" x 0.9"
The natural pink tourmaline specimen is a semi-transparent crystal section with some light to medium pink areas and some colorless to pale green areas (all natural colors). 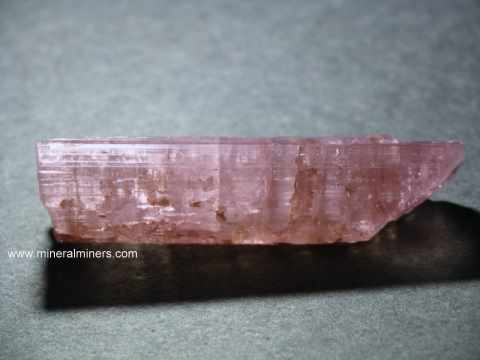 See an opposite side view of this natural pink tourmaline crystal specimen. See also another view of this natural pink tourmaline crystal. Pink Tourmaline Crystal Dimensions: 1.4" x 0.8" x 0.5"
The natural pink tourmaline specimen is a transparent crystal section with several small facet grade areas. It would yield a single large lightly included cabochon gem weighing 80 carats! It has deep reddish pink natural colors. The photo at left is a back-lit view. See an opposite side back lit view of this unique pink tourmaline crystal. 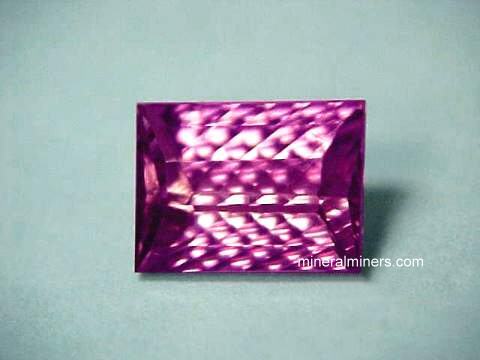 See also an end view of this natural color pink tourmaline crystal. Pink Tourmaline Crystal Dimensions: 1.9" x 0.5" x 0.5"
The natural pink tourmaline specimen is a semi-transparent crystal section with small transparent areas and light pink natural color. See an opposite side view of this natural pink tourmaline crystal specimen. This is the end of our online selection of natural color purple, peach, sunset, red, and pink tourmaline lapidary grade rough. We have been mining for tourmalines in Brazil for more than 30 years - be sure to see some of our other natural color tourmaline items! 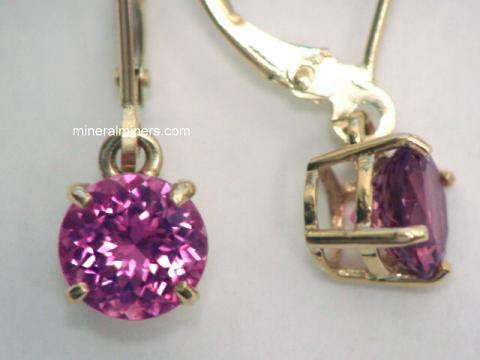 See our natural color Pink Tourmaline Jewelry including a large selection of genuine Pink Tourmaline Earrings. We have many different qualities available in pink tourmaline mineral specimens ranging from opaque to transparent! See our on-line selection of natural color Pink Tourmaline Crystals. We also have green tourmaline facet rough, blue tourmaline facet rough, and bi-color tourmaline facet rough. See our page displaying tourmaline facet rough of all the natural tourmaline colors! 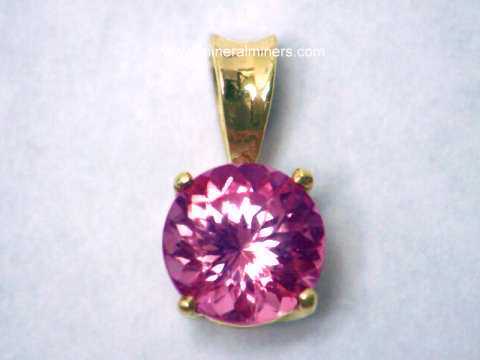 We have a variety of shapes and sizes available in natural color pink tourmaline gemstones as well as some very beautiful tourmaline gems with natural color shades of peach, pink, and purple which are populary known as sunset tourmaline gemstones. See some matched pairs of wonderful pink tourmaline gems set into handcrafted Pink Tourmaline Earrings! To see more rubellite tourmaline (purple, peach, red, sunset & pink tourmaline) images, just select another item category from the table below. Would you like us to inform you when we add on this page more natural color rubellite tourmaline pieces of lapidary grade? We do have additonal lapidary grade tourmaline pieces in stock with natural shades of red, pink, peach and purple colors in stock, so be sure to let us know if you have any lapidary grade rough pink tourmaline special requests. Please contact our webmaster or our 'site' geologist with any questions or comments.